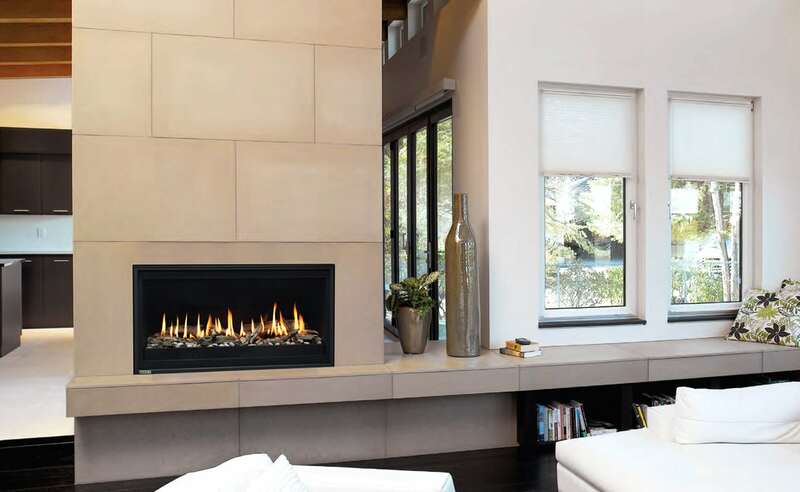 The P & PL Series direct-vent gas fireplaces offer great design, innovative technology, and versatility all in one neat package. These zero-clearance landscape-style units displaybold flames and a contemporary and elegant look. 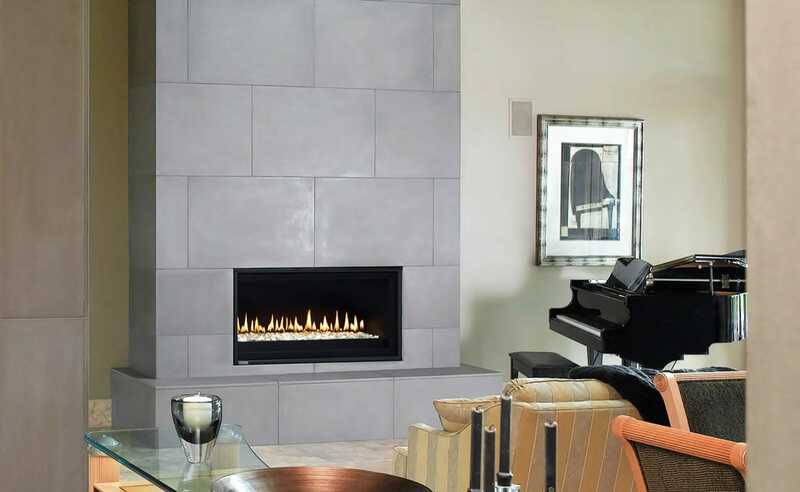 The P & PL Series, produced by Montigo in Canada, enable you to enjoy the warmth and drama of a truly contemporary hearth just about anywhere you choose: frame it in the wall for a serene minimal look, make a commanding hearth of marble or stone, or install it in an existing wood fireplace to convert it into a more efficient heat source. They each come in three sizes: 38, 42, and the largest 52 (width in inches). 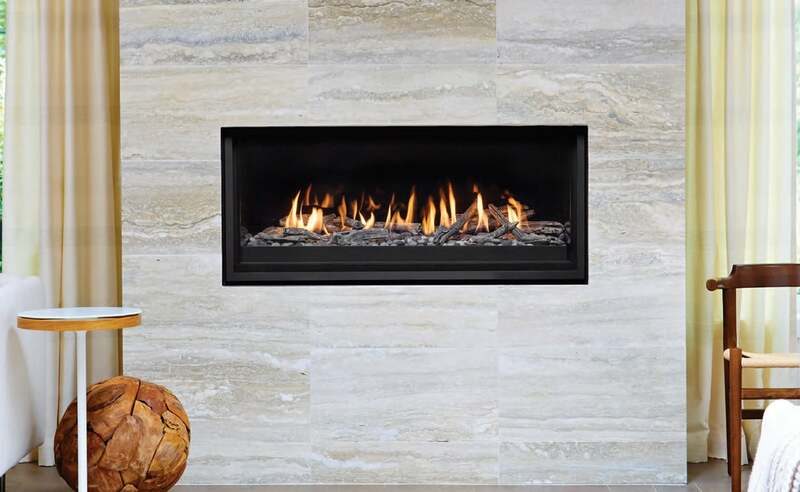 The concealed ribbon flame burner can be covered with a choice of stone or glass media in various colors, speckled stones or can be combined with a drift wood log set(shown at left). The firestones in white, silver, and opaque are the standard option (shown at top left). See media choices below. These units are offered with top or rear venting and a power vent capability that allows the fireplace to be placed anywhere in the home up to 100ft. from the exterior wall.All models include an integrated barrier safety screen, snap-lock door for easy access, battery backup for continuous operation during a power failure, and remote control operation. The P & PL Series Gas Fireplaces offer a modern design with a refined elegance, and enjoy a relaxing ribbon flame for warmth and tranquility.